In the same month that US residents were busy celebrating Thanksgiving and preparing their shopping lists for Black Friday, Chinese online spenders created another sales record in the annual November 11 consumer festival, known as Singles Day in China. 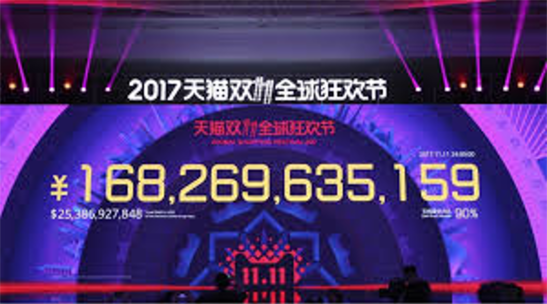 The total gross merchandise volume (GMV) on Alibaba’s platform reached RMB 100 billion in the first 3 hours, and eventually became RMB 168 billion (or ~USD 25.3 billion) by the end of the day. The GMV is 3 times bigger than the combined sales of Black Friday and Cyber Monday in the US. A total of 812 million orders were generated in 24 hours, which equates to 9,400 orders per second. With the assistance of big data in facilitating faster delivery from closer warehouses and stores, the first order arrived at the customer’s door 12 minutes after purchase! Interestingly, 90% of payments went through mobile phone, compared to 41% just 3 years ago. It shows that mobile payment systems are getting more sophisticated rapidly in China and are way ahead of the West, where only 30% of shoppers used mobile payment during Black Friday in the US. China’s consumption story is real and remains strong despite a macro economy slowdown. Since everyone is buying from their savings at the moment, the industry outlook will be even brighter as consumer finance begins to pick up. Domestic consumption is capable of taking over from net exports and investment in driving economic growth, with consumption accounting for 64.5 percent of the headline growth or 4.4 percentage points in the first 9 months this year. There are innovative companies in non-consumer industries such as logistics, financial services and technology that are accelerating their development in order to cater for the increasing demand of Chinese consumers. Without the support of a reliable ecosystem, it is hard to accommodate the vast orders coming in and to ensure on-time delivery. China is already the world's largest e-commerce market and the share of online shopping that makes up all consumer spending grows every year. BCG forecasts online spending will rise by 20 percent annually to USD 1.6 trillion by 2020, compared with ~6 percent growth for brick-and-motor retail sales. For investors, the most direct exposure to this trend could be buying companies that operate online retailers/platforms and/or provide related infrastructure services. But the danger is that these companies are well known and a lot of the potential is already priced in. Strategies focused on consumption or new economy sectors may provide an alternative and more diversified way to benefit from this long-term trend. 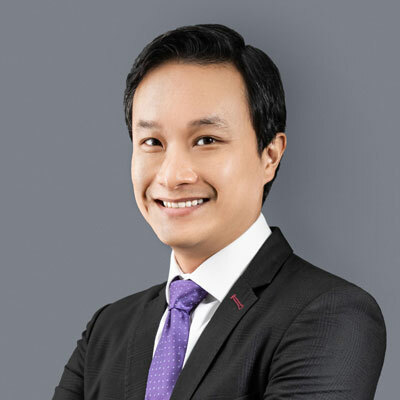 At Premia, we launched precisely such a strategy with 3173 HK. You can read about our approach here, or review the product details here. Beyond China, there are also some newly listed ETFs that offer an opportunity to express a pessimistic view on offline retailers by outright short-selling them or going long online retail while short-selling traditional retail. On a more personal front, you may be wondering if I contributed to the record sales of Singles Day this time around? In fact, I just bought a new electric scooter for USD 290 for my short-distance travel. Since I’m still waiting for it to arrive, guess there’s always room for further improvement in operations.